Following the scent of pudding, Bunyip Bluegum, the koala, comes across Bill Barnacle, the sailor, and Sam Sawnoff, the penguin. They are the owners of a rather ill-tempered Puddin’ called Albert, who magically replenishes no matter how many slices are cut. 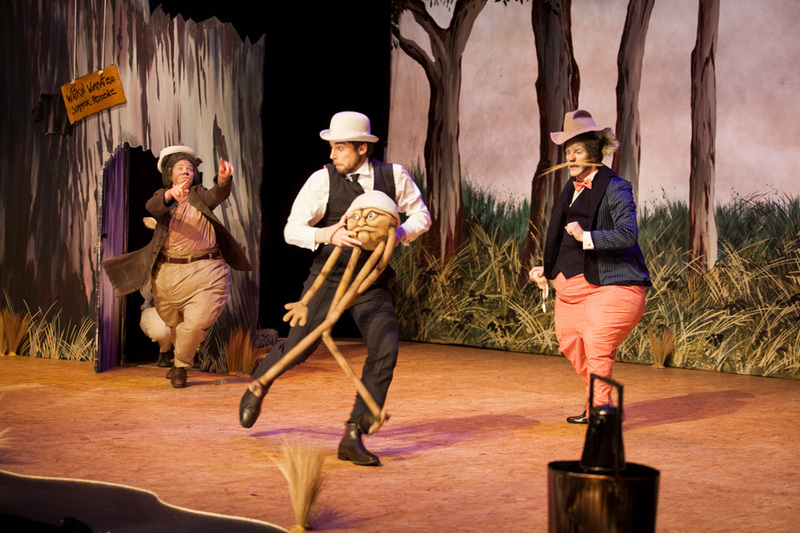 Bill and Sam are being followed by Possum and Watkin Wombat who want to steal the Puddin’ for themselves. Will the three friends be able to thwart the thieves and hold onto their magic Puddin’? Composed by Victorian Calvin Bowman, the music is light with generous melodies that delight audiences of all ages. The story is told through Bowman’s melodic style that has been influenced by the Romantic era, early 20th-century British composers and Carl Stalling (composer of music for Warner Brother cartoons). Have fun while learning more about The Magic Pudding - The Opera. Download the Education Resource. Running time is approximately 75 minutes with no interval.